Harlem is a neighborhood in New York City. In the Marvel universe it is best known as the home and stomping grounds of the hero, Luke Cage. Luke Cage - Born and raised in Harlem. Joined the local gang the Rivals before becoming a hero. 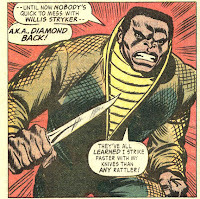 As part of Heroes for Hire he has had many adventures in and around Harlem. The Falcon - Sam Wilson-Sam Wilson grew up in Harlem. His father was a local pastor who was killed by muggers. Misty Knight - Owns a Harlem Condo with Iron Fist and has worked heavily throughout the area. It is unclear if she was born in Harlem or somewhere else. 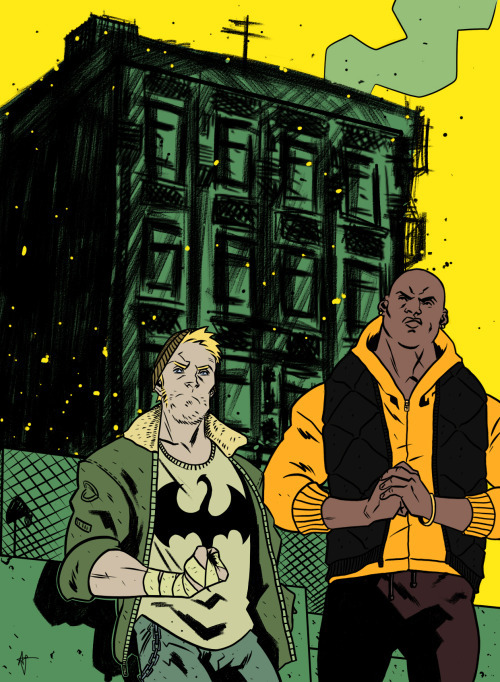 Iron Fist / Danny Rand - Owns a Condo with Misty Knight. He was born in NYC but it is not clear where. As part of Heroes for Hire he has worked frequently in the area. 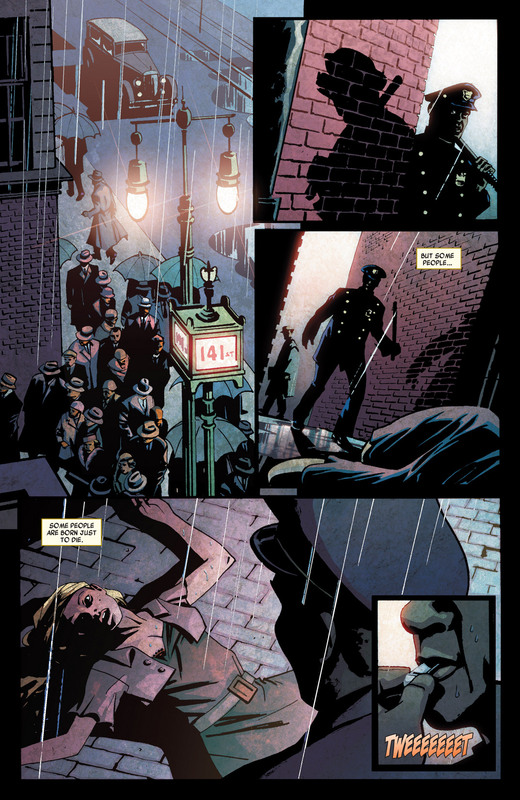 Another hero who has had adventures in Harlem is the Black Panther. While known as an African hero, the Panther has spent time defending the streets the Harlem. The Great Migration: The events of the Civil War and Reconstruction through the late 1800s saw African Americans make huge gains, only to see them taken away. Many educated African Americans sought opportunities away from the South. They were drawn to Northern cities often for economic reasons as well as to escape the Jim Crow laws. These led to a Great Migration from the South to the industrialized cities of the North. While, African Americans still faced racism in the North, it was less institutionalized than in the South. In the early 1900s, Harlem began attracting many of these African American migrants, as well as Black immigrants from the Caribbean. Harlem Renaissance 1920-1930: In the 1920s Harlem became a predominantly African American neighborhood and remained that way through 2008. In 2008 Census figures showed that for the first time in nearly a century that African Americans did not make up the majority in the neighborhood. The neighborhood was the epicenter of a variety of artistic movements that are often combined and referred to as the Harlem Renaissance. The Renaissance featured a variety of black Enlightenment styled intellectuals like Alain Locke and W.E.B. Du Bois. Musically, Harlem was home to the Apollo club that often featured some of the best Jazz acts of the day including Fats Waller and Duke Ellington. Sam Wilson the Falcon known for teaming up with Captain America traces his roots back to Harlem but his adventures tended to carry him away from his old neighborhood. Sam's father was a local paster and always sought peaceful solutions in the often rough neighborhood. Unfortunately, Sam's father met his end in street violence. Sam would go on to battle the local crime lord Stoneface and moved him out of power. 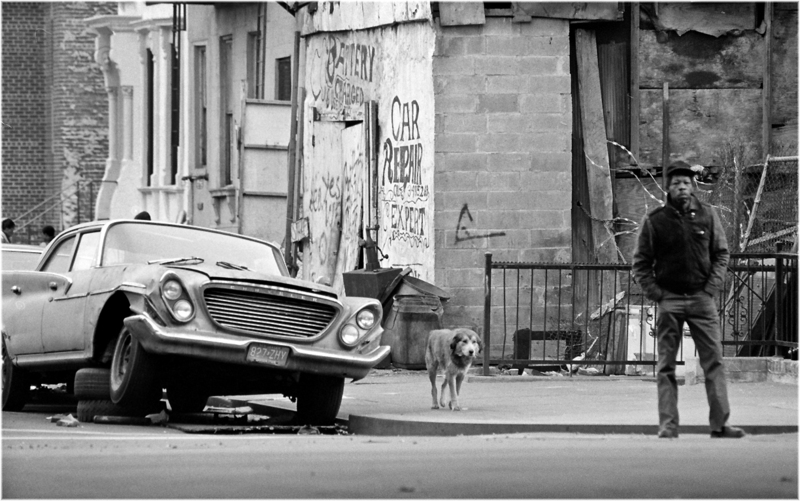 Harlem became the central battle ground for the hero for hire, Luke Cage in the 1970s. Luke battled social and racial injustice as well as super villains all while trying to make a living as a hero for hire. Many of Cage's adversaries were members of his former Harlem gang the Rivals. 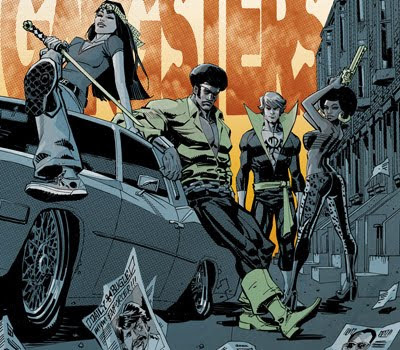 Iron Fist and Misty Knight moved into Harlem as part of Luke Cage's growing "Heroes for Hire" operation. The two had many adventures within the neighborhood, and eventually bought a condo together there.